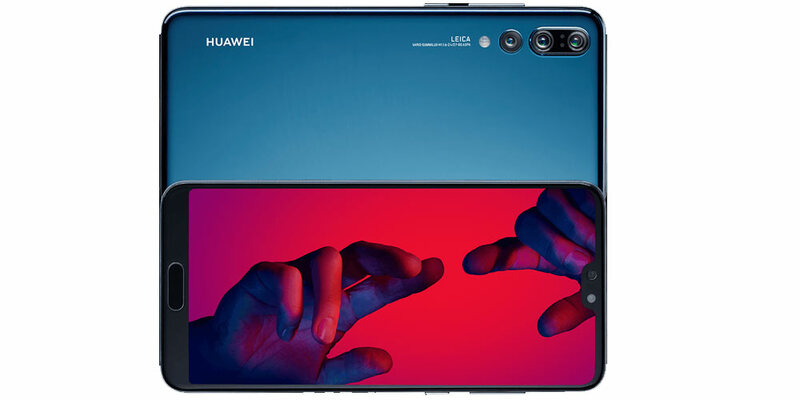 Huawei have definitely been making a fuss over the camera side of their smart phones. With every new model there have been slight improvements and having Leica emblazoned on the phone is a good way to attract the photography crowd. The Huawei P20 Pro is out to compete with the flagship models from the competitors, especially on the camera side of things. In this respect let’s dig in and see exactly what this camera phone can offer. Firstly, like previous models from the company their phones aren’t the cheapest, but in their defence they are going up against the top of the range from other companies which are also on sale for a premium. Luckily, it’s a buyers’ market for smart phones, so you should find a good deal online. Even to the average consumer, this phone packs a lot of camera features. A 40MP rear camera with 3x optical zoom, 24MP front camera, 20MP black-and-white camera and 8MP zoom camera. The processor comes in the form of a Kirin 970, 6GB of RAM and 128GB of storage, using Android 8.1 with EMUI 8.1. The screen is larger than in previous models at 6.1-inch with 1080 x 2240 resolution with highly reflective AMOLED screen. The battery is now at a bigger capacity at 4,000mAh. The battery is quoted with a 1 hour 24 minute charge time and a 1.5-2 day battery life with moderate usage. The phone has the facility for changing color profiles. You can have neutral or vivid color profiles and change the color temperature which can be done on the fly. A good way to set up things so you get the most neutral colors. The larger glass means a bigger unit, but also a bigger screen for viewing images. The all aluminium exterior feels solid and hard wearing, coming in a variety of finishes. It’s also quoted as being waterproof down to 1m for 30 minutes however, like all expensive phones I wouldn’t even attempt its waterproof claims. There’s also an automatic brightness facility on the screen, which adjusts to different light conditions. 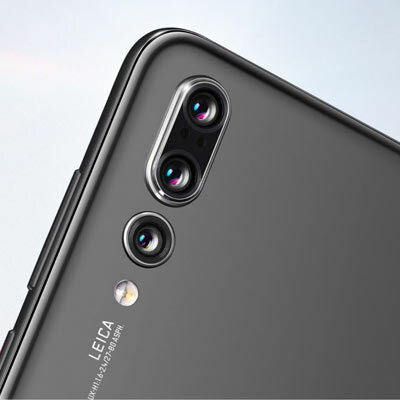 The phone has three cameras on its rear. A 40MP sensor, a 20MP black and white sensor which also improves processing, dynamic range and image noise. The third camera has a 8MP sensor with a optical 3x zoom lens. The 40MP camera definitely has a load of resolution for you to play with and standard images come out at 10MP. The highest resolution images can be shot in pro mode with 76.2MB DNG files allowing lots of room for postprocessing. On the downside, there is no standard headphone jack and no wireless charging. The majority of owners will be shooting JPEGs on the phone and the quality doesn’t disappoint. The extra resolution definitely makes a difference. Huawei recommend shooting the majority of shots at 10MP and using the optical zoom. This should give more detail than a crop of a RAW file or JPEG version according to Huawei. Either way, unless you’re planning on producing large prints, the resolution factor is very good, even when viewed on a large monitor. The standard 10MP images have a very good hit rate and come out very sharp. The ability to post edit Raw files gives loads of ability to the images, especially when tweaking the exposure as the camera can err on the side of underexposed at times. The f/1.8 Leica lens definitely gives some benefit with a nice wide aperture which give surprisingly good bokeh. To guarantee the best ultimate resolution, most will stick to the optical 3x zoom, but you can go to 5x with the Hybrid Zoom. This extra bit of digital zoom is better than expected with smart upscaling and some extra digital sharpness. Huawei also have software image stabilisation (AIS) which doesn’t go below 1/16 of a second. Even with a bit of handshake you can still have a high hit rate of images. The different image modes are also good to play around with, especially for testing out how well the phone operates in low light. Light painting, monochrome, panorama, night shot and slow Mo. are self-explanatory, with the Night mode being quite impressive in very low light. The Night mode groups a bunch of shots over 3 to 6 seconds and impressively can be done handheld. From a few tests these come out very well with detail in night-time images and plenty of dynamic range. With this mode alone, it makes the Huawei P20 Pro feel like a little DSLR. Quite impressive. The front camera is also impressive with its 24MP sensor. The images may not be as clear as some other rivals, but Huawei have upped the stakes with how well it works in low light, even if sometimes image detail is sacrificed for lowlight performance. However, the AI scene selection, which detects your subject and tries to give you the ideal settings can overdo things. It can oversaturate colors and give some unexpected results, meaning it’s better to switch it off and do the selections yourself. Video quality can go up to 4K, but can’t use image stabilisation as with 1080p at 60fps. So, if you don’t have a tripod, you may be better off sticking to 1080p if you want the most stable footage. The software stabilization works very well making regular moving about very smooth. There’s other modes such as 960fps and 240fps, but here you can only shoot at 720p. These won’t look the best on a 4K TV. The Samsung Galaxy S9, Galaxy S9 Plus, iPhone X, iPhone XR, and the Google Pixel 3 are the main options here. The P20 Pro beats the Samsungs for low light operation. The closest match on the iPhone front is the iPhone XR, which the P20 Pro beats on overall camera facilities and the 3x optical zoom. The Google Pixel works very well in low light and has some great apps, but its aperture is only f/2.4. The Huawei P20 Pro is one of the best phones that can handle low light and with the full camera functionality can give some very pleasing images and video. A 40MP rear camera give you plenty of bragging rights and impressive resolution. You’ve even got longer battery life for gathering that bit more footage. As the P20 Pro is out to compete with other brands flagship models the unit can be costly, but still not as much as the top end phones from iPhone or Samsung. If camera facilities are at the top of your phone checklist, then this is definitely one of the best, especially in low light conditions. It’s also very cool looking phone.